Wow - the big guns have arrived. I am so honoured to be giving you a guest post from internationally acclaimed author May-lee Chai. You may have seen my review of May-lee's fascinating YA novel Dragon Chica earlier in the year. If you did, you will know that I am a big fan! 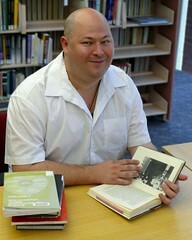 May-lee is also a critically acclaimed memoirist as well as being an editor, educator and blogger. I was very honored when Walter asked me if I’d be willing to write a guest post for his blog! 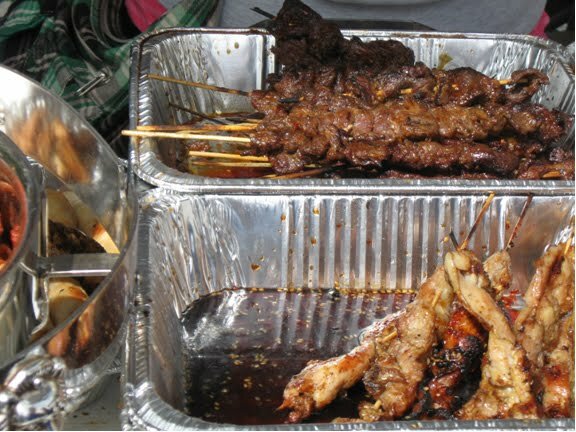 As I know that Walter recently traveled in Cambodia and is at work on a book about Cambodia, I thought I’d write about the Cambodian New Year festivities in San Francisco, California, where I live. Although the traditional new year begins April 13 in 2011, celebrations in the Bay Area last all April long. 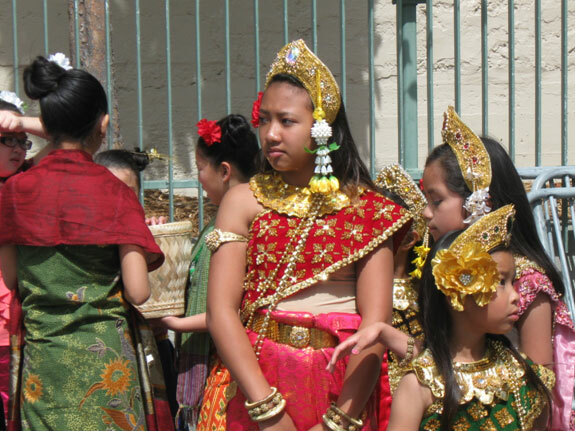 American federal refugee policy does not provide any funding whatsoever for “cultural preservation,” so all efforts to rebuild Cambodian cultural traditions in America have come directly from the communities themselves. Under the brutal Khmer Rouge regime, 90 percent of the educated people were killed outright, including the artists, professional dancers, trained musicians and singers. 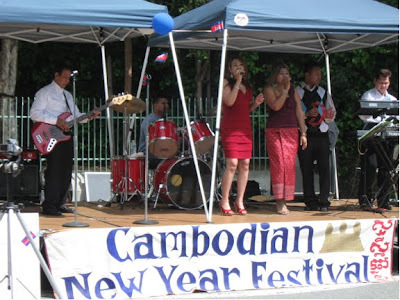 However, Cambodian Americans are actively reviving and re-inventing their beautiful cultural traditions as well as actively teaching them to the next generation. 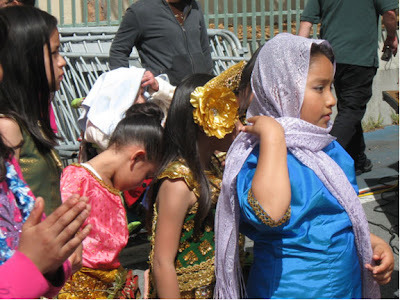 One of my favorite events at the 2011 New Year Festival was the traditional girls dance called “Robam Neary Chea Jour.” The group of five little girls were performing in public for the very first time yet they showed amazing poise and grace. Their teacher, Ratha Chuon Kim, told me they had been practicing for two months, spending four hours every Saturday to learn the graceful moves. For children so young, that’s dedication! I also enjoyed the energetic breakdancing by the Cambodian American young men! As they busted their hip hop moves to the traditional beat of the gong (drum), they proved that they are blending Cambodian and American dance styles very well. 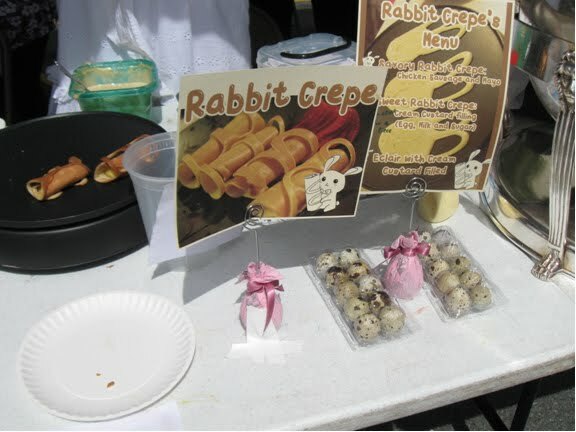 Of course, there was food galore, including papaya salad, lemongrass, fried rice and satay as well as crepes and eclairs, which reflect the strong French influences on Cambodian culture. Finally, I was thrilled to see my friend Sandra Sengdara Siharath, who is founder of the Southeast Asian Cultural Heritage and Musical Performing Arts center (www.seachampa.org) in nearby Oakland, California. She and her talented father, Philip Siharath, performed in many of the musical numbers, her father playing the gong (drum) and Sandra playing the hand cymbals (ching). 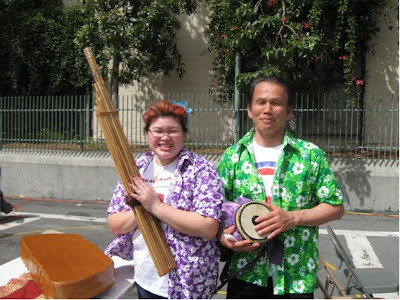 In this picture Sandra holds the traditional kaen (mouth organ) and her father Philip holds a gong (drum). The festival was just beautiful and is truly a community affair. Typical of San Francisco, it was very diverse, including performers of Cambodian, Thai, Laotian, Chinese, and mixed heritage. The audience was even more diverse, including people from all over the San Francisco Bay Area. May-lee Chai was born in California the eldest daughter of an Irish American mother and Shanghai born father. May-lee has lived in fourteen states and four countries. A writer and educator, May-lee is the recipient of a National Endowment for the Arts Grant in Literature. In addition to her books, she has published numerous short stories in journals, magazines and anthologies as well as essays and journalism. Thanks for letting me write guest post on your blog, Walter! Hope to see you and Thang in San Francisco some time! Some time SOON I hope May-lee. I am aching also to visit Della Reese's church in LA and to go to Atlanta, Savannah and Lily Dale! My American road-trip dream. I'm leading a writing tour to Vietnam in April 2019 - and I want you to come!